A few financial updates for you. Firstly, thanks to all those parents who have filled in a Gift Aid Declaration for us.  Our first claim, which relates only to subs payments made up until April 2006, has been accepted by HM Revenue & Customs and has resulted in a payment direct to Crofton Scout Group funds of £200.85. Also, we have received a BuyAt webshop commission cheque for £38.58. This brings our total raised from this shop since last September to £175.74. Please tell your friends, relatives and work colleagues about our shop and encourage them to use it too - the shop is open to all! Sainsbury's Active Kids vouchers are still being issued until the end of May. If you're not already passing yours in to a local school, please remember that Crofton Scouts are collecting these too. At latest count we have 545 vouchers. We have also applied for a grant from the UKVillages Community Kitty in the hope that we may be able to purchase a new Burco boiler for use on camps and at events. Sadly, our application for a small grant from UKVillages Community Kitty has been unsuccessful.